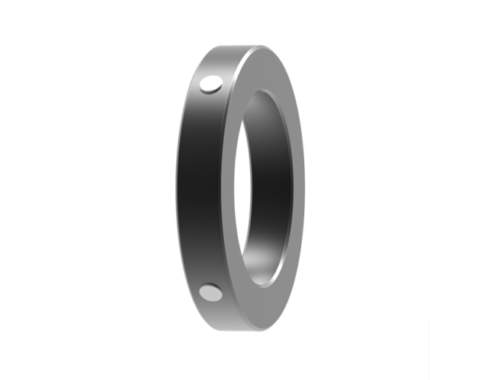 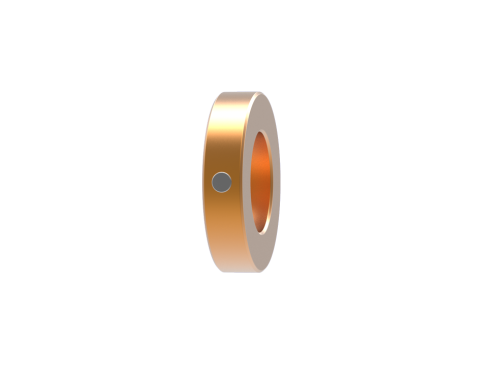 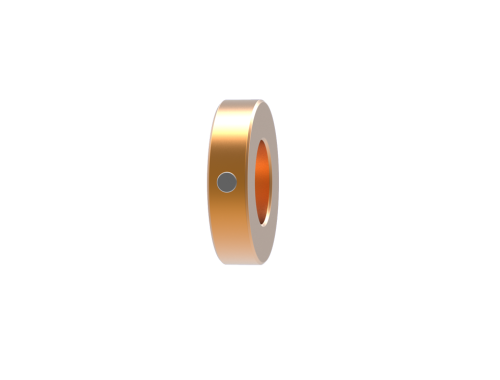 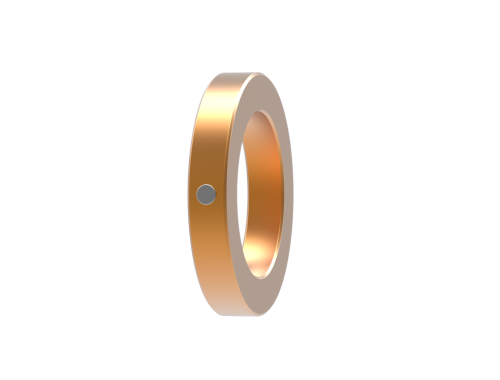 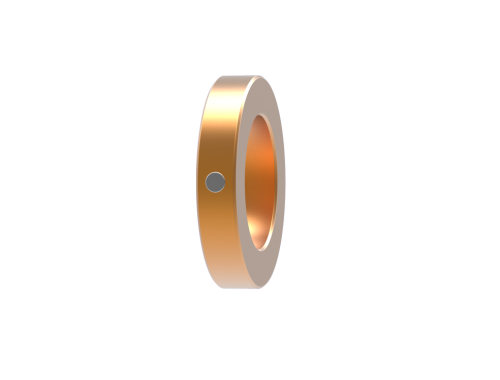 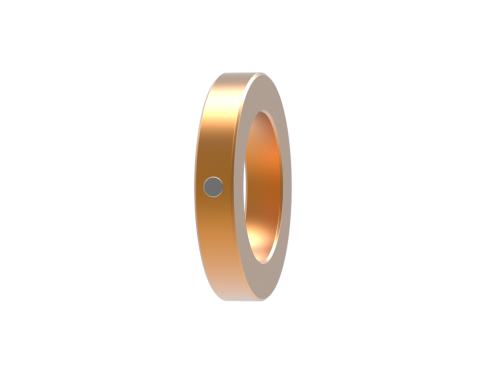 View Cart “RING – 50mm” has been added to your cart. 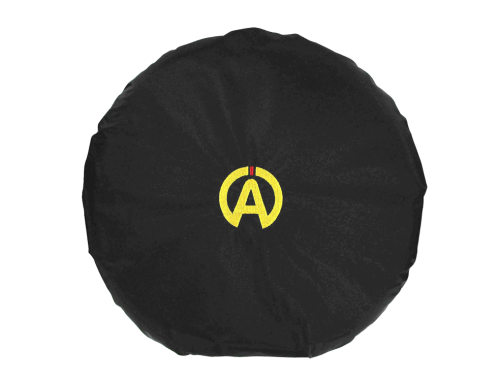 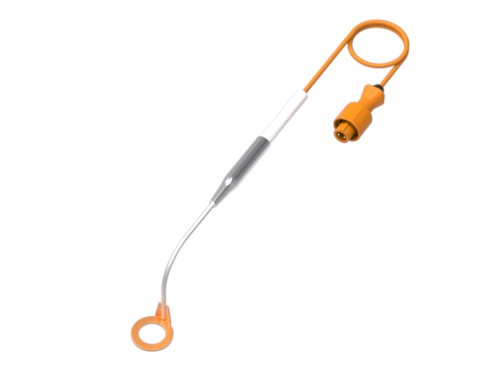 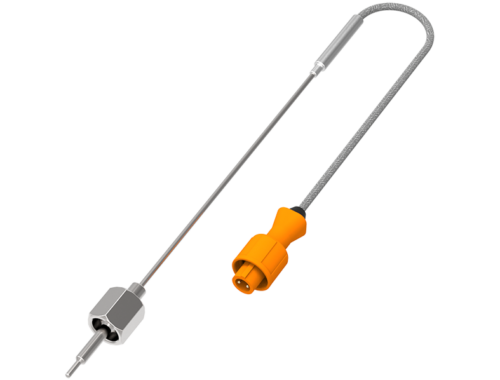 – A2101 water sensor NTC, metric 10×1, 45cm. 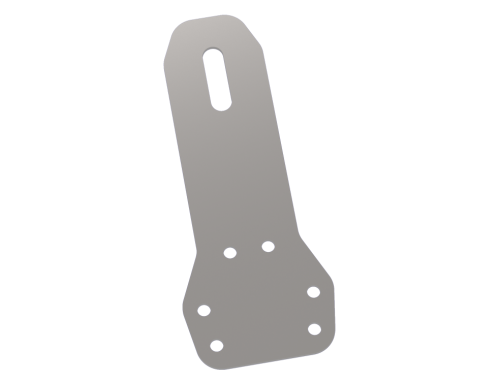 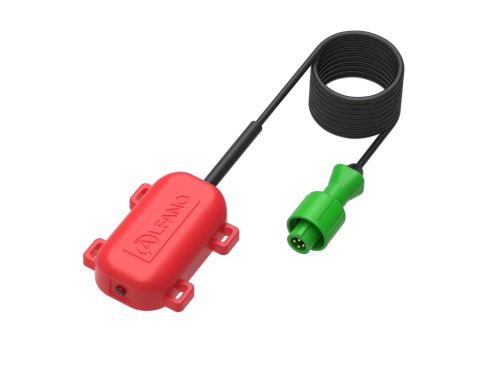 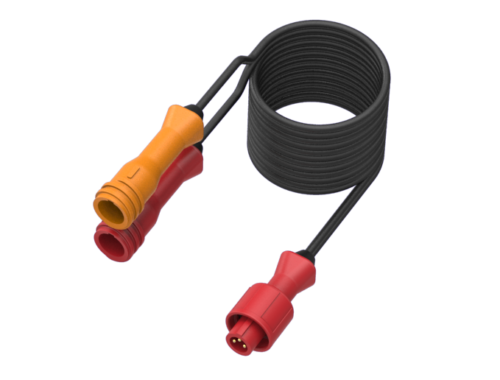 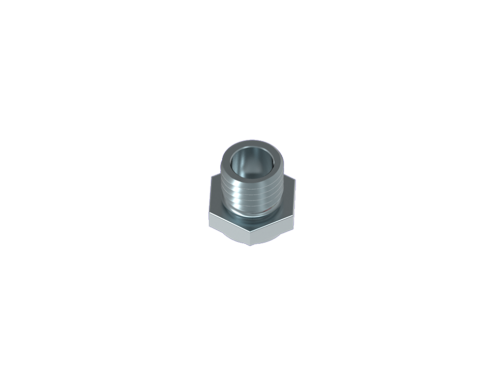 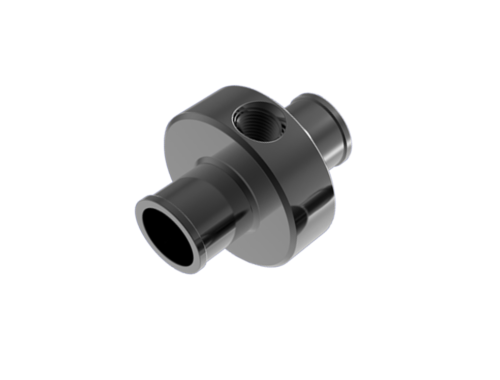 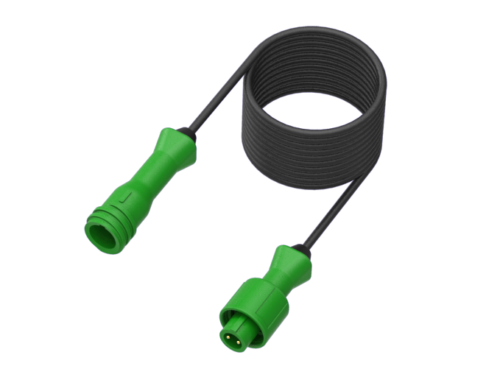 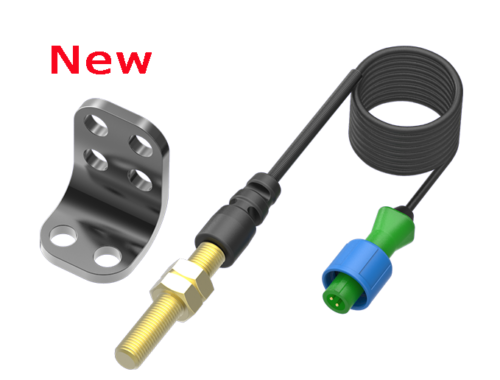 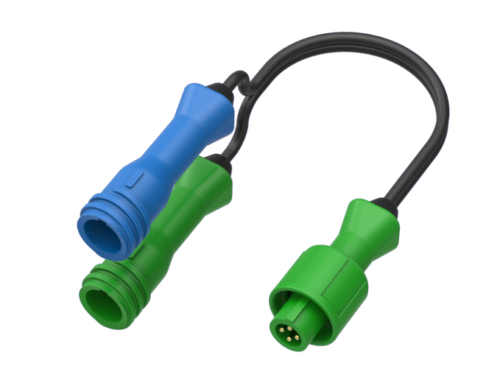 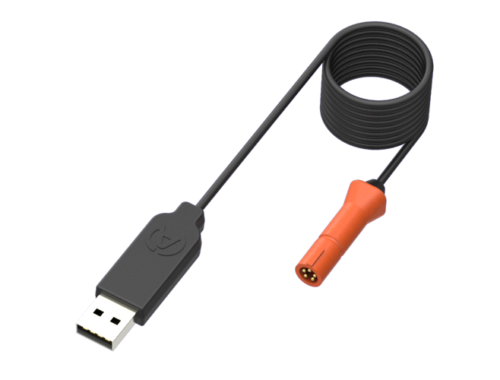 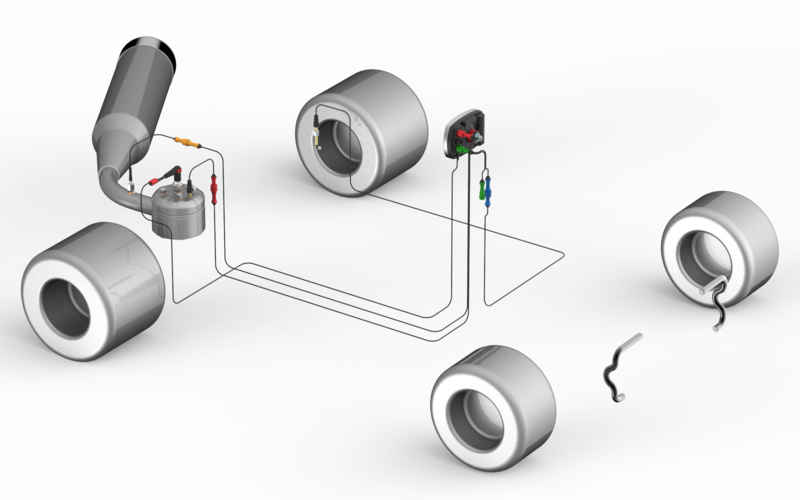 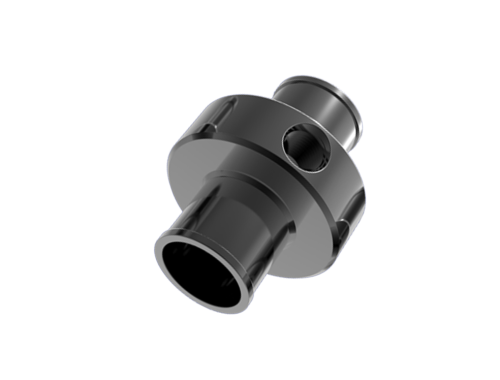 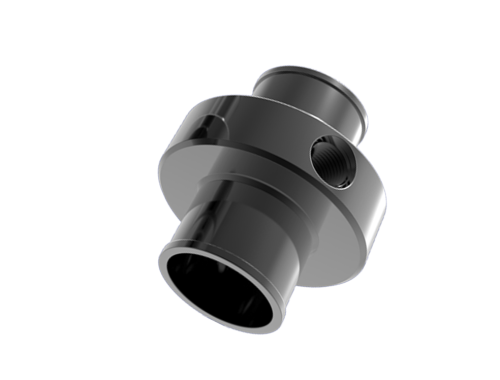 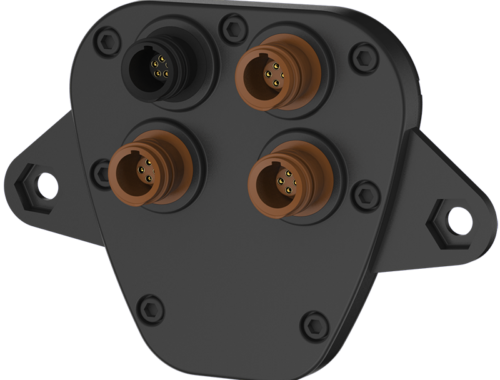 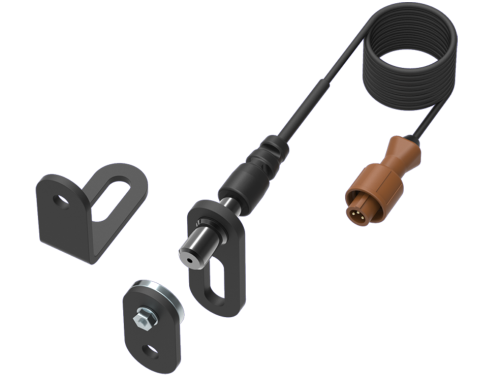 – A2151 exhaust sensor K. (This ultra-sensitive sensor is the best on the market, allows to quickly and accurately capture exhaust gas temperatures, an important tool to adjust the carburation, OTK Tonykart uses this sensor for their team). 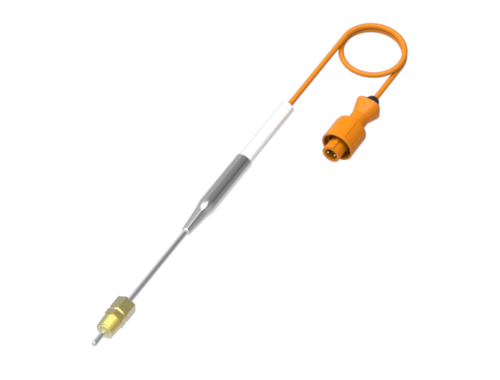 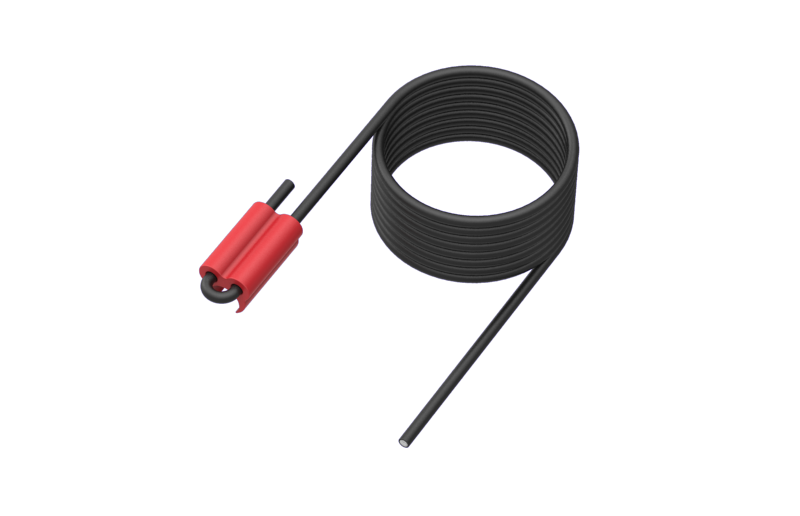 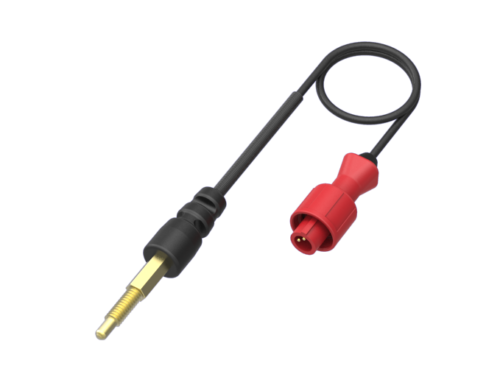 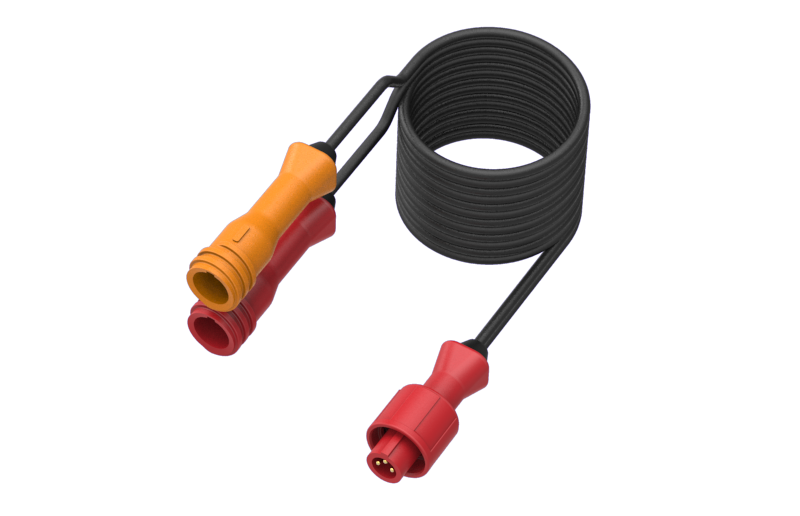 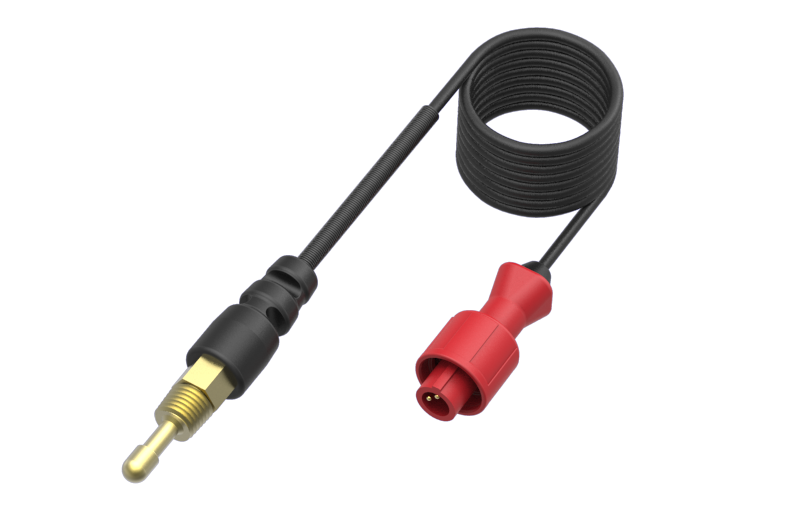 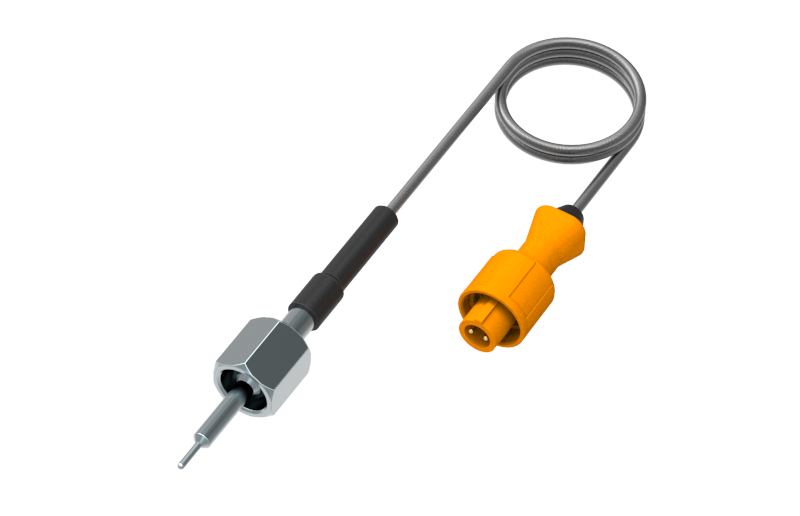 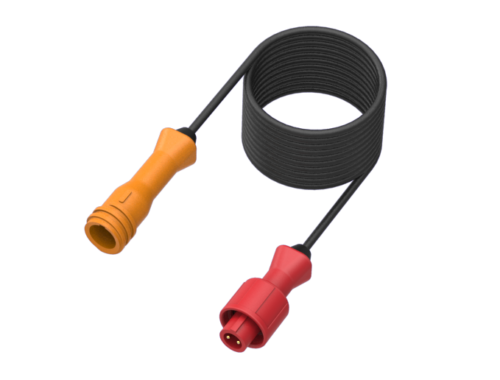 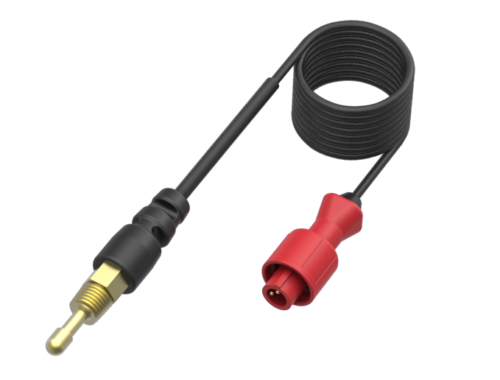 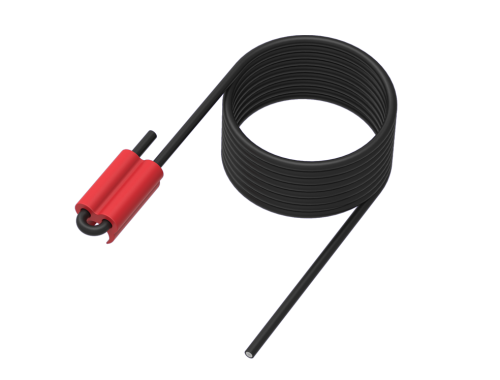 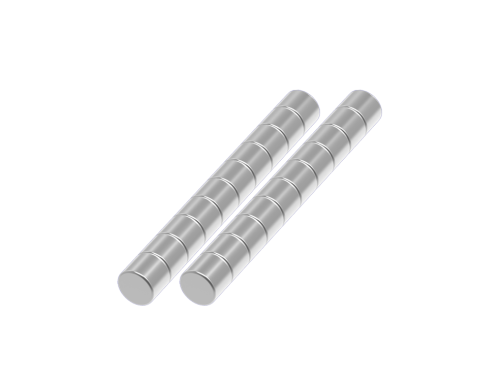 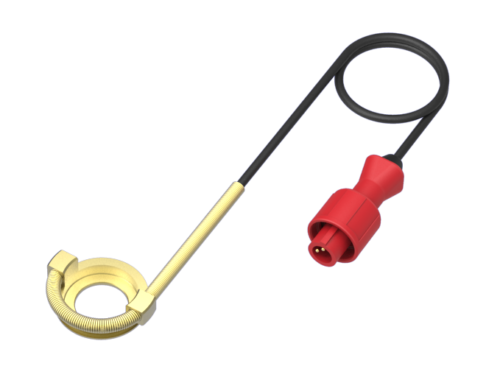 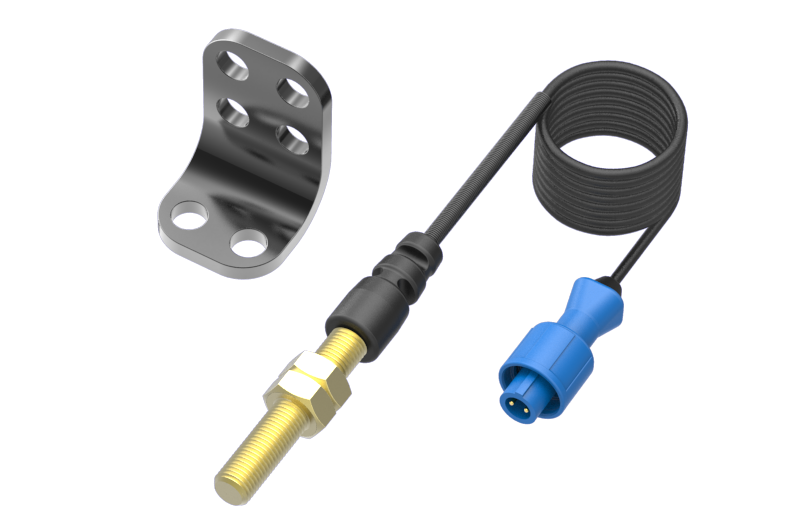 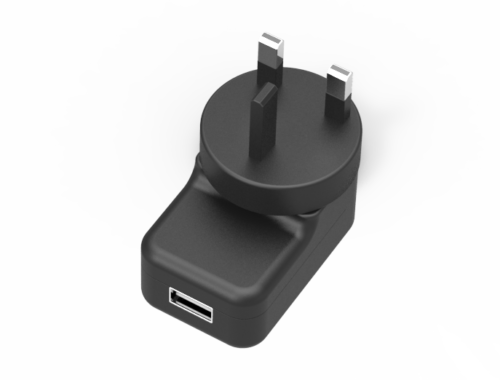 – A2190 extension Y, to connect two NTC-K temperature sensors, 135 cm. 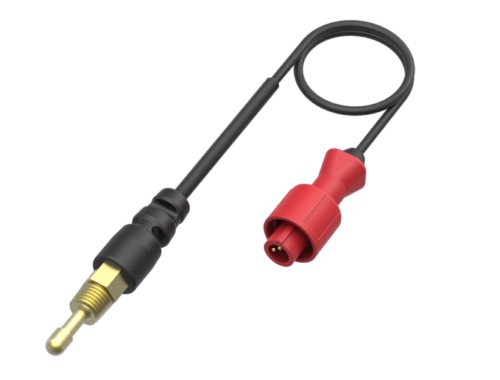 – A2203 speed sensor, 195cm (new model). 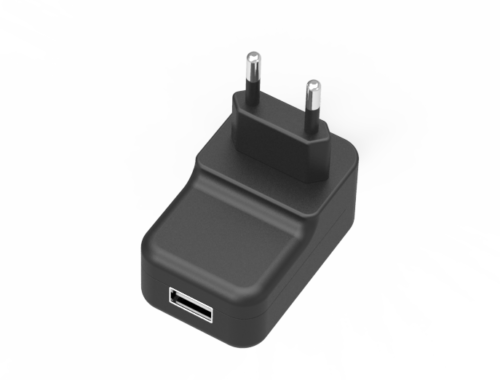 (necessary for KZ). 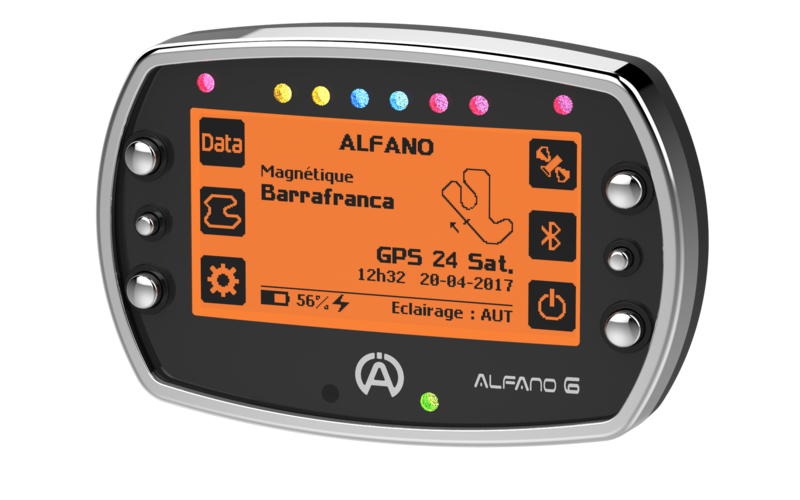 Alfano presents its new Alfano6 data acquisition system. 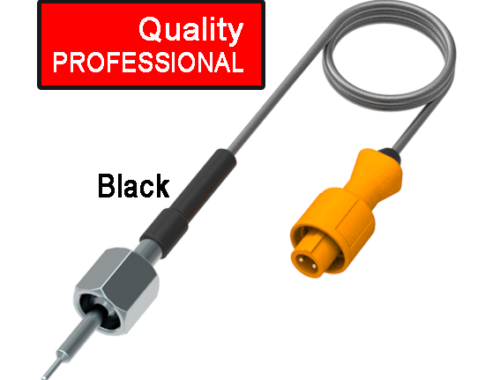 A concentrate of technology and reliability at the service of the amateur driver to the professional. 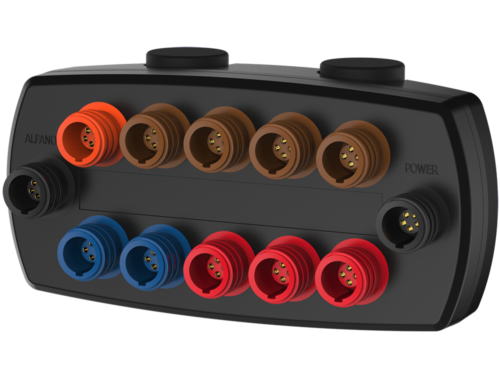 From design to production, the Alfano6 has been designed for ease of use that will surprise you. 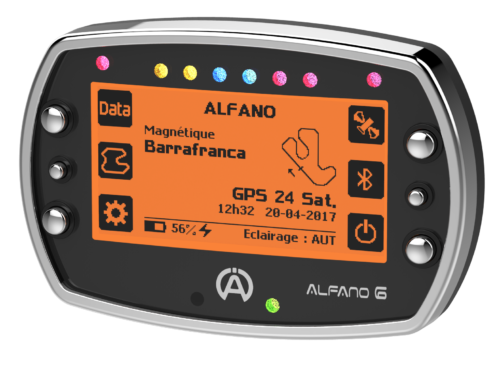 Alfano6 is equipped with 3 GPS systems (unique in the sector): GPS American system – Glonass Russian system – Galileo European system, for a precision of lap times, speed and trajectory never achieved before. 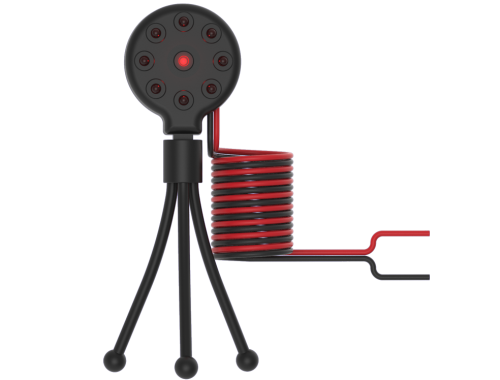 Database with 2,527 circuits in memory. 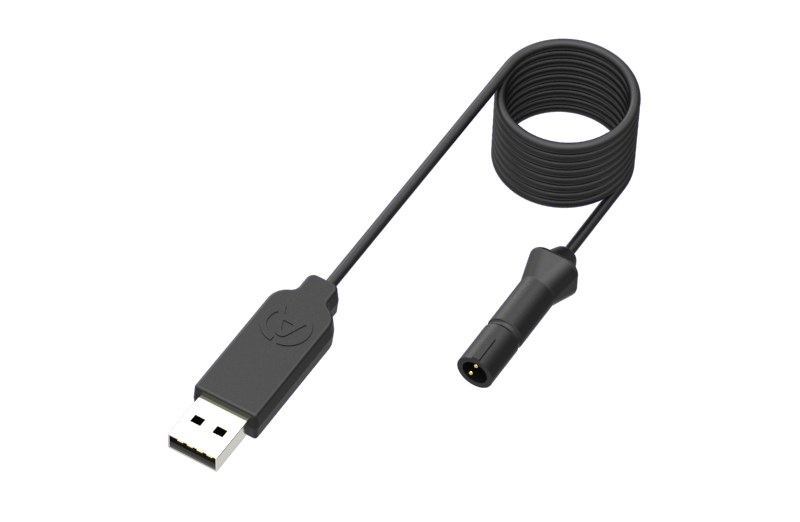 With its 268×128 pixel display you will be able to monitor all information in a readable way. 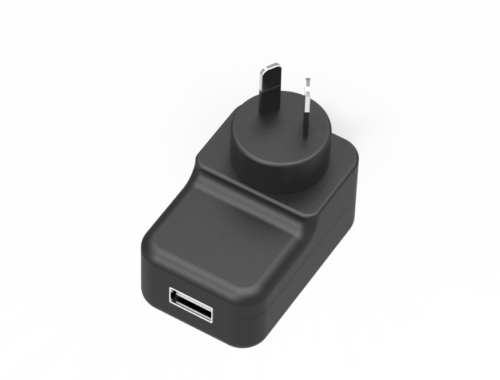 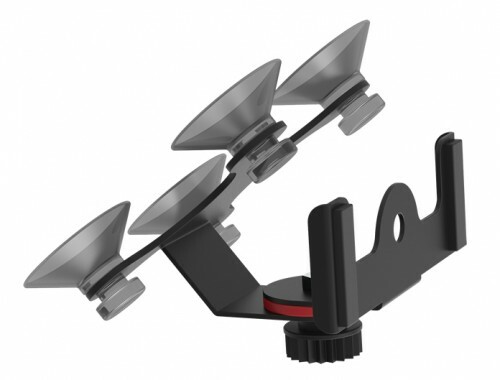 The display has a backlight with 3 brightness levels that can be set, an ambient light sensor and 6 different colors. 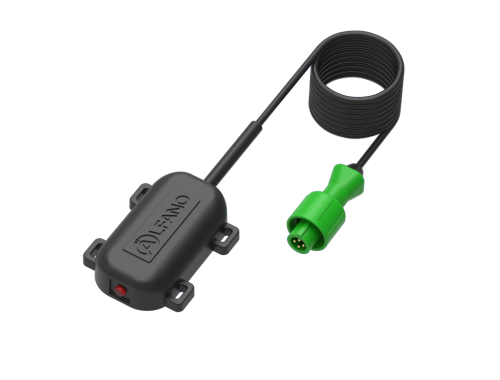 To facilitate the readability of the acquired data such as lap times and split times, temperatures, speed, number of runs, you can choose up to 5 race screens (1 by default and 4 to customize as you wish). 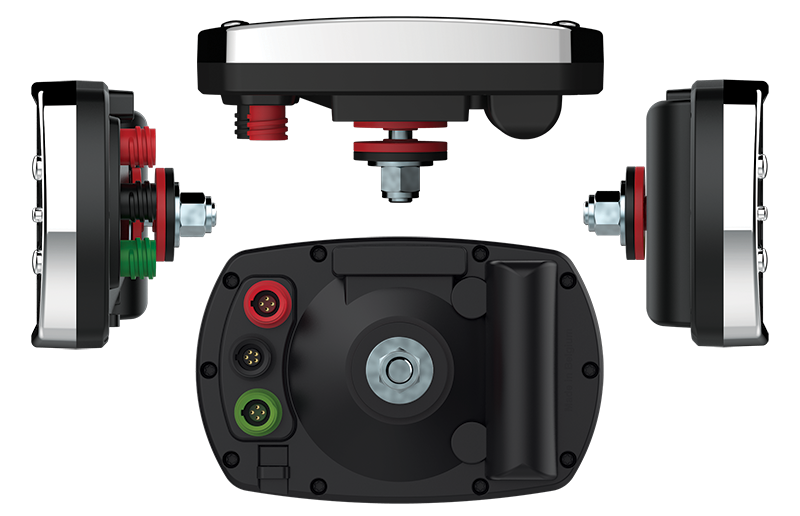 Alfano6 is equipped with 6 individually configurable LEDs, with the possibility to choose the color and the activation values. 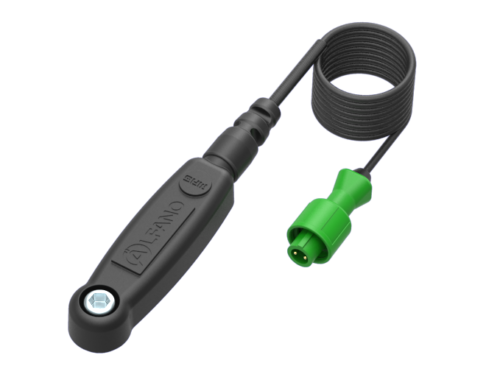 You can choose to activate the LEDs for gear changing, temperature alarm or best time / intermediate. 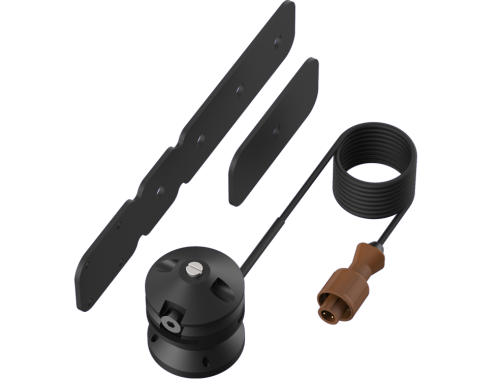 Furthermore, with the 2 individually configurable individual LEDs, you can set an activation value for water, underfloor or drain. 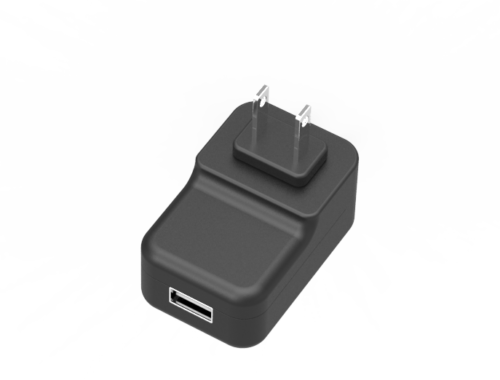 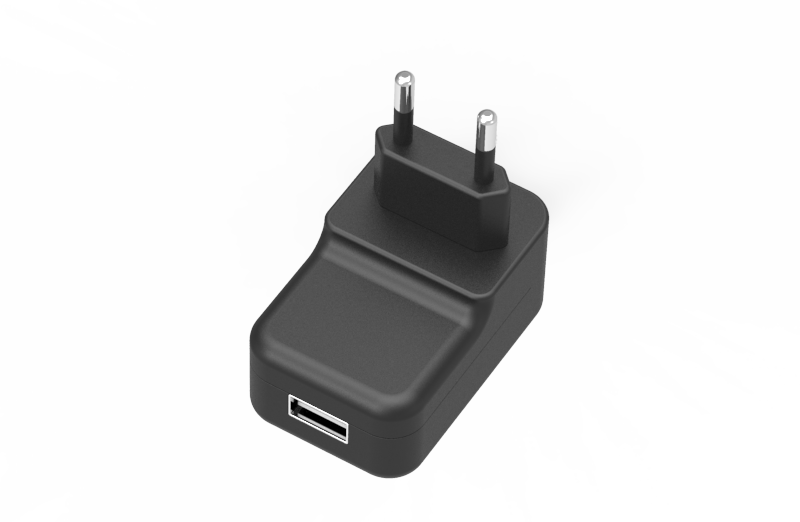 Alfano6 is equipped with Bluetooth for data download or firmware update with our APP or PC. 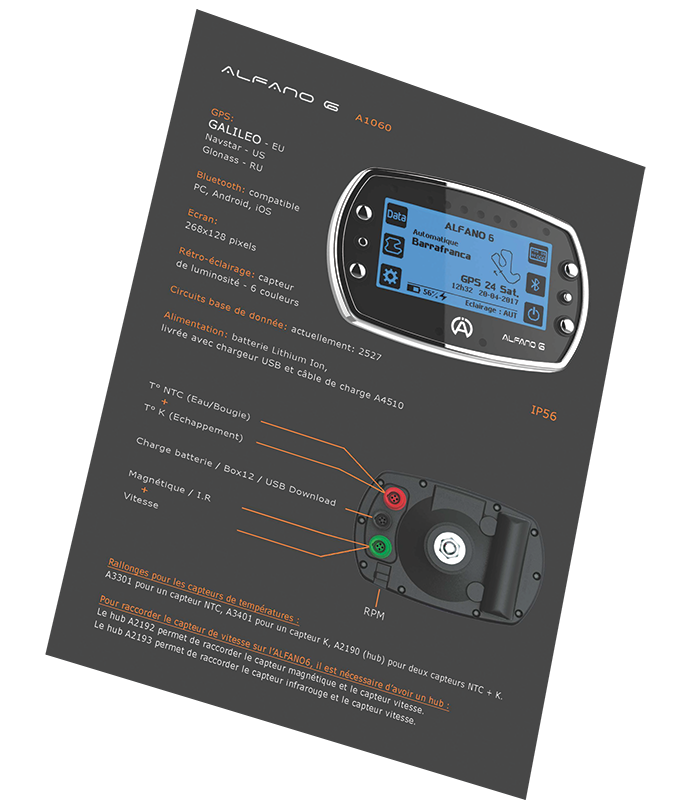 Alfano6 is able to indicate the gear entered via the speed sensor. 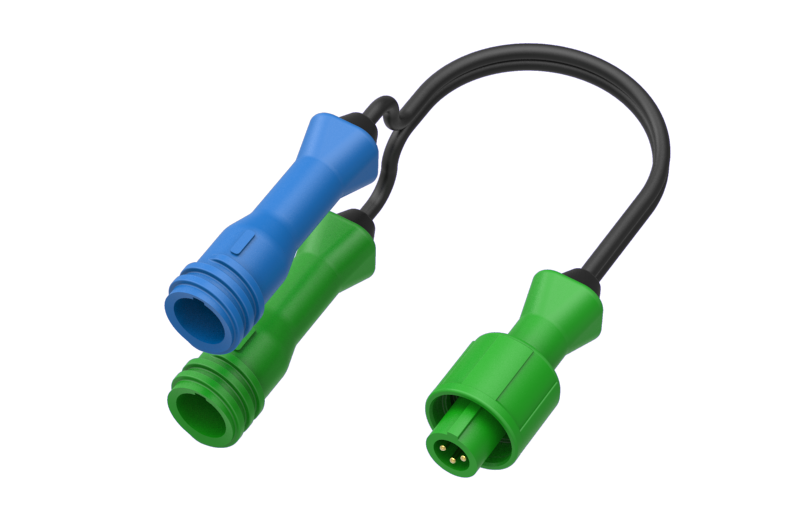 Compatible with Pro3 Evo sensors.